Applications and supporting materials must be submitted to International Affairs on or before April 15, 2013. Applicants for international work-study awards will be notified by the end of spring term 2013. Demonstrated financial need: All international students who are encountering financial difficulties are eligible to apply. Full-time international students with a 2.5 or higher cumulative GPA. New international students are eligible to apply for the Work-Study scholarship. In order to continue receiving awards during each term of 2013-14, students must be enrolled for a full course of study (minimum 12 credits for undergraduate students or 9 credits for graduate students) and maintain satisfactory academic progress toward degree completion. Each award is for one academic year only (Fall, Winter, Spring). Renewal is NOT automatic and students must apply every year. 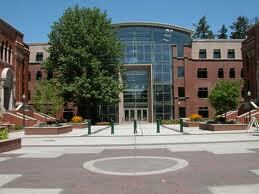 Demikianlah artikel mengenai International Students Work Study Awards, University of Oregon, USA Semoga Bermanfaat Bagi Anda.